ESTABLISHED HIV infection is easy to control but impossible to cure. Or almost impossible. The exception seems to be Timothy Brown, a man often referred to as the Berlin patient. In 2006, after a decade of successfully suppressing his infection with anti-retroviral drugs, Mr Brown developed an unrelated blood cancer, acute myeloid leukaemia. To treat this life-threatening condition he opted, the following year, for a blood-stem-cell transplant. And, at the same time, he volunteered as a guinea pig for an experimental anti-HIV treatment, which worked. Now, a team of doctors in London have reported a similar case. Blood-stem-cell transplantation is a normal, though radical, treatment for various sorts of blood cancer. Stem cells are the precursors from which particular tissues grow. Blood-stem-cell transplantation involves using drugs (backed up, in Mr Brown’s case, by radiotherapy) to kill a patient’s natural blood-producing tissue, the bone marrow, and then transfusing in new stem cells from a donor. So far, so normal. But Mr Brown, at the suggestion of his doctors, chose from among the 267 possible tissue-matched donors one who had inherited from both parents a mutation that, in healthy people, prevents HIV infection in the first place. (The mutation in question alters one of the proteins the virus attaches itself to when entering a cell.) After two such transplants Mr Brown was cleared of the leukaemia and, as far as it is possible to tell, HIV had stopped replicating in his body. The newly reported patient, treated by Ravindra Gupta of University College, London, and his colleagues, had Hodgkin’s lymphoma and underwent a stem-cell transplant for this in 2016. As in Mr Brown’s case, the cell donor had inherited the protective mutation from both parents. Sixteen months later, as they describe in Nature, the patient’s doctors withdrew the HIV-controlling drugs and watched. There was no resurgence of the virus, as would be usual if those drugs were withdrawn from any other HIV patient. Nor has there been any change in the patient’s HIV status in the 18 months since the drugs’ withdrawal. In cases like this doctors are loth to use the word “cured”, since the future is unpredictable and the mechanism involved serves only to break HIV’s reproductive chain, not to purge the virus from the body entirely. They talk instead of patients being “in remission”. Nevertheless, the experience of the person who will probably come to be known as the London patient is important. It shows Mr Brown’s case was not a fluke. 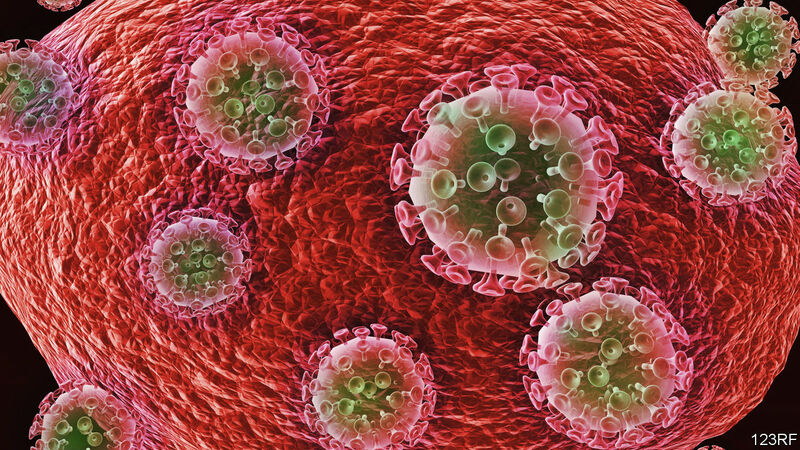 Which gives comfort to those working on the idea of editing protective mutations into stem cells drawn from people with HIV, and then returning the edited cells to the patient. This would avoid the risks of rejection that come with transplants from donors. Most researchers in the field are proceeding cautiously, testing their results on mice, and with some success. But this is an area that can encourage over-reach. The gene-edited-baby scandal which happened in China late last year was, according to those involved, an attempt to engineer the relevant mutation into people from birth. Such over-reach aside, even if the editing of blood stem cells could be made to work reliably, transplanting them back into people would probably remain a rare procedure—for the methods used to kill a patient’s existing bone marrow make such transplantation dangerous in and of itself. But it would at least be available as a treatment of last resort for those with forms of HIV that have developed resistance to drugs. And that would save some lives.